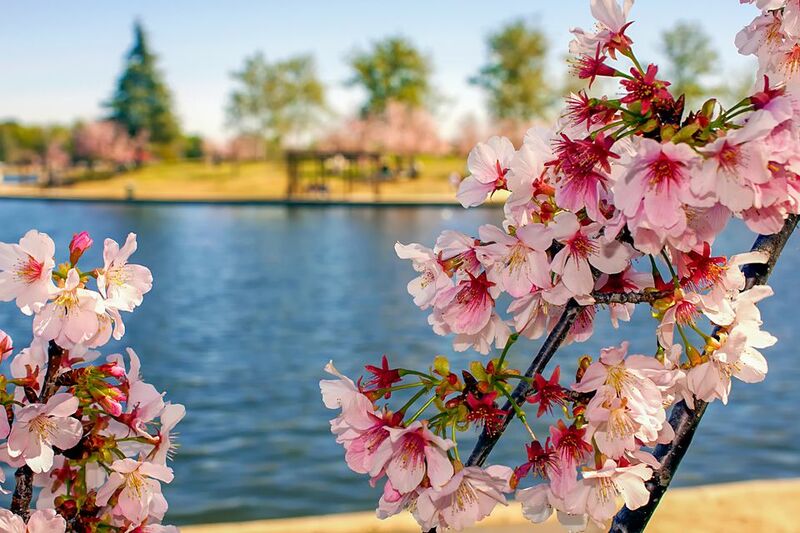 Spring is one of the best times to visit San Diego, especially if you avoid going during crowded spring break school holidays. In the spring, the beaches are uncrowded, especially during the week — although the water may be too cold for swimming. And if you time your visit well, you can get lower hotel rates than in other seasons. During spring break, the weather may say spring, but it will seem like summer at local theme parks and animal attractions, which will be open longer but packed with people. Outside of spring break though, the big attractions reduce their hours and offer fewer extra activities. San Diego is a popular destination during spring break, for college students and families. Families flock to San Diego during the spring school vacation, filling the local theme parks to near capacity. Their spring break may be held around Easter where you live, but in California (where many San Diego visitors live), schools schedule their breaks anytime between mid-March and the end of April. Crowds of college students also go to San Diego during spring break; many of them intent on consuming as much alcohol as they can. They often rent houses at Pacific Beach and Mission Beach or visit the Gaslamp Quarter. Use this calendar to find out about university breaks. San Diego's rainy season ends by April in most years, and skies are frequently bright and sunny. It's also less likely to be foggy and cloudy in San Diego in the spring than in the early summer when June Gloom starts to set in. And you'll have 12 to 13 hours of daylight to enjoy the attractions. Water temperature remains near its winter lows through March and April, warming slightly in May but it's still too cold for all but the hardiest swimmers. The beach will be a better place for walking than water play until summer arrives. Any time of year, San Diego attire is casual, and you won't need dress clothing unless you're attending an event that requires it. In fact, if you get too glammed up, everyone will know at a glance that you're a tourist. Layers are always a good idea, especially in early spring when conditions change daily. If you plan to go to the beach or be near the ocean, expect it to be 10 to 15 degrees cooler than it is inland. Spring holidays include Easter (a lunar holiday which can occur between March 22 and April 25) and Mardi Gras (which happens 46 days before Easter), St. Patrick's Day (March 17), and Cinco de Mayo (May 5), a festival of Mexican heritage and pride. All of those are events that San Diegans love to celebrate. If you want to join in, you can plan your visit around them. San Diego Mardi Gras: The annual celebration fills the Gaslamp District with a parade and other themed events. The date changes annually. Cinco de Mayo: On May 5, 1862, the Mexican Army defeated the French Empire at the Battle of Puebla. According to the History Channel, it has become a time to celebrate the victory of indigenous Mexicans over their European invaders. You enjoy Mexican cultural festivals, listen to live mariachi music, watch traditional Folklorico dancing, drink margaritas and eat authentic Cali-Baja tacos, watch lucha libre wrestling, and more. Baseball season begins in March and the San Diego Padres play home games in their stadium downtown. If you want to attend a game check their schedule. The Carlsbad Flower Fields start blooming in March. You don't need to make reservations to see them, but you do need to check their website to find out whether the flowers are in bloom to avoid disappointment. Whale Watching: San Diego Whale watching season usually ends after March. Grunion Run: It's not a run for humans but instead for tiny, silvery fish. March is the beginning of their mating season when they hook up by the light of the full moon (or the new one). To be sure you visit on the right dates, use this schedule. La Jolla Shores is a good place watch, or you can take a guided trip sponsored by the Birch Aquarium. If you want more detailed information by month about things to do, you find that in the guides to San Diego in March, San Diego in April, and San Diego in May. Hotel prices will be lower in the spring than in summer, at least for part of the month. To get the lowest room rate, plan your trip before or after spring break and use these little-known and unexpected tips to lower your cost. Those low spring prices go up to summerlike rates during the three-day weekends for Easter and Memorial Day. And also during spring break, which is detailed above. Make your reservation as far ahead as possible before the less expensive hotels fill up. Conventions are less frequent in the spring than later in the year, but when they happen, they can also fill the downtown hotels. Check for conventions scheduled during your planned trip dates at the San Diego Convention Center website, which also shows how many people are expected to attend. The rest of spring when there's nothing else going on, attractions may cut back on their hours and activities. Some of them may be closed on weekdays, making it essential to check the websites of local businesses and activities before you make your plans.